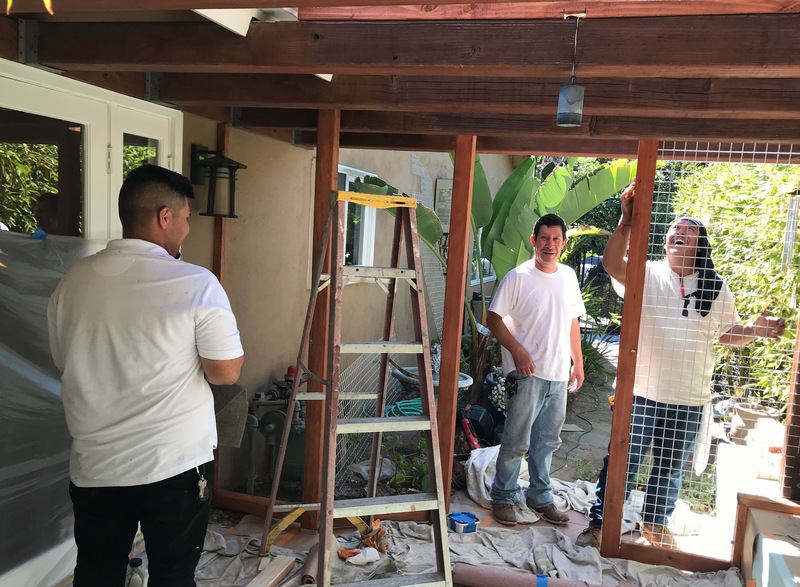 We previously posted that building a Custom Catio was a labor intensive process. To reiterate that point, we started building a new cat enclosure in North Hills today and brought 5 guys — including me the picture taker. In the photo, you see our team reviewing the plans before getting started on constructing the wood frame. Tomorrow we will tackle the shingle roof and get started on cutting and retrofitting the floor boards. Monday the wire mesh will be delivered which we will paint along with the frame. On Tuesday, we will finish the four day build by putting it all together into one beautiful catio that will leave both humans and felines happy. Custom Catios are true labors of love!